It's no secret that GIFs are becoming a popular feature on almost every platform where photos and videos can be created and shared. We at TapSnap knew that this trend wouldn't be going away anytime soon, so we jumped on the GIF train last year with the addition of animated GIFs to our photo booth offerings (how fun is this snowglobe animated GIF!?). In the past few weeks, Instagram has taken to the GIF trend as well, by introducing the addition of GIF stickers to their roster of features offered on the Instagram Stories platform. Here are some tips on how to use this new feature, and have fun with all that it can do. 1) How do you add GIF stickers to your Instagram Stories post? First, make sure that you have the latest version of the Instagram app on your phone! Then add a photo by swiping up to select one from your camera library, or shoot a boomerang or live video clip. To add a GIF sticker of your choice, click on the square happy face icon on the top right side of the Stories screen. When it opens, you'll see "GIF" on the second row of the listed options. Click on that, select (or search for) your favourite GIF, and it will be added to your screen. With your finger, you can slide it around to reposition the GIF, or pinch it to make the image larger or smaller. 2) How to add animated words to your posted pics? Not only can you add dancing characters and spinning palm trees to your photos, but you can add GIF word art too! Now you can pep up your pics with all the OMGs and LOLs you want. To do this, simply enter "Word Art" in the search box and choose from one of hundreds of options to suit your mood. 3) How to create GIFs that fade in and out? You may have seen the heads of cute cartoons pop in and out at the bottom of the screen on your friends' posts, or words fade in and out above their picture-perfect poses. To add fading GIFs to your posts, enter "Peepers" in the search box and choose your favourite peeping GIF! 4) How to add this new feature to your TapSnap photo booth photos? 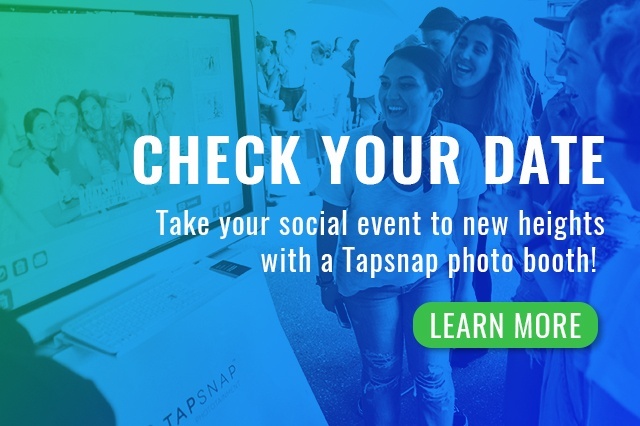 If you've just been to an event with a TapSnap photo booth, and you want to share your photo fun with your friends, you can easily share your photos via Instagram Stories. To do so, save your photo to your camera on your phone. In Instagram Stories, swipe up to add the photo, and then embellish your pic with fun GIF stickers! 5) Stick GIFs to your moving posts. Want to add a speech bubble to your boomerang clip of someone running? Keep the GIF moving with the object in your video by pressing down and holding the newly-added GIF to where on the video you want it to stick, and voila! If you want to add your own GIFs to Instagram, there's an app for that too! Check out this post by BuzzFeed for more on how to share your own GIFs on Instagram. Whether you're looking to create a funny post on Instagram Stories to share with your followers, or to add a little pop to your pretty pics, the new GIF feature will take your posts to the next level. And if you really want to have fun with GIFs, be sure to book with TapSnap and add our animated GIFs to your list of available features for your party guests.